Last week, Bring Me The Horizon returned with brand new single Mantra – their first new material since 2015’s That’s The Spirit LP. Preceded by a viral marketing campaign in various locations around the world, we soon learned that the cryptic words ‘Do you want to start a cult with me?’ were the opening line to Mantra. A single that on the surface is about love, but comes from a more spiritual place. 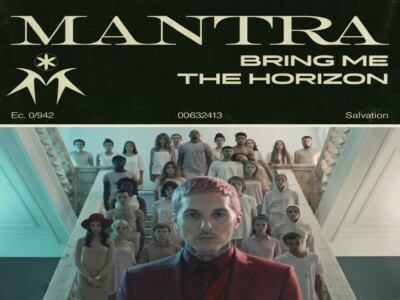 Free download MANTRA - Bring Me The Horizon ringtone in here!